American Airlines has a hub in Philadelphia. More than half of American Airlines’ 15,000 pilots told the company that they had experienced problems with a uniform that gave rise to complaints of breathing difficulties, migraines, rashes, and other problems, according to a lawsuit unsealed by a federal court in Illinois. One American flight attendant described her job as “life threatening” in December 2016 soon after the new uniforms debuted, and said, “I am not able to be around anybody in the new uniforms because the formaldehyde shuts down my respiratory system and I will need an inhaler, oxygen and EpiPen and I am risking death by being around them,” according to the suit. The lawsuit, brought by the airline’s pilots and flight attendants, says chemicals in the uniforms are causing the symptoms. And the suit, citing internal documents and emails, accuses American of covering up dangers and falsely portraying the uniforms as safe. The company collected thousands of complaints of reactions through a dedicated call center, the suit noted. American Airlines, the dominant airline at Philadelphia International Airport, says that the uniforms, made by Twin Hill, are safe and that the lawsuit “has been written in a sensationalized manner that does a disservice to American’s commitment to its team members, and to their continued health and safety." 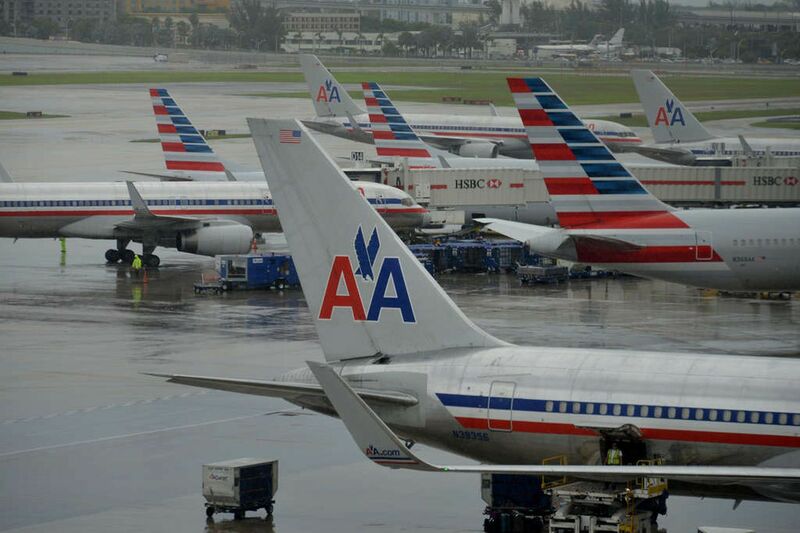 A federal judge dismissed American as a defendant from the suit in September, but allowed the plaintiffs to bring an amended complaint against the airline. A redacted complaint was filed in October, and the judge ordered an un-redacted version to be unsealed this week, after American said it did not object. “We continue to believe that the current uniform is completely safe,” American spokesperson Leslie Scott said. “In fact many team members, including senior executives, have worn the Twin Hill uniform safely and continue to do so today. Regardless, we are well underway with an alternative path to provide uniforms by new suppliers.” Twin Hill’s parent, Tailored Brands, did not respond to a request for comment. The uniform debuted in September 2016, and the following month, the airline allowed employees to purchase and wear off-the-rack alternatives. Flight attendants could opt for a uniform by another manufacturer beginning in March 2017, and pilots could do so starting in June 2017. American is now field-testing new uniforms made by Land’s End among 1,000 employees. That uniform -- for flight attendants and other workers -- is expected to roll out in late 2019. Scott said pilots will be in new garb made by M&H Uniforms in the spring. At Philadelphia International, one of American’s hubs, the new uniforms apply to 1,380 pilots, 2,450 flight attendants, and 845 customer-service and premium-service agents. “We want to offer people options if they were not comfortable for whatever reason,” Scott said. The plaintiffs want American to remove the Twin Hill uniforms altogether, and allege that the company has known that thousands of employees -- including pilots in the cockpit -- react to the uniform if colleagues are wearing it. The suit says one pilot filed a safety report with the FAA and American after he experienced an asthma-like reaction to a flight attendant’s uniform, and had to delay departure for 20 minutes. American “took no action” on the safety report, the suit alleges, and subsequently sent the pilot a disciplinary notice and grounded him twice. American maintains that “we have seen absolutely no scientific support for the claim that the uniforms cause reactions by simply being around them,” Scott said. According to the lawsuit, American heard from 3,828 unique callers to its uniform-reaction call center within five months of the rollout. About three months later, the suit said, 7,000 employees had placed orders for an alternative uniform, according to a draft report that American’s president, Robert Isom, was scheduled to give to the company’s board. The company has not granted any workers' compensation claims for uniform reactions, according to the suit.